Last year,the Cleveland Cavaliers surprised observers with their selection of Dion Waiters in the first round and with the first pick overall this year,General Manager Chris Grant pulled another surprise as he passed over the more publicized players and tapped UNLV forward Anthony Bennett with their first pick. Bennett looks to me to be a tweener,capable of playing as a quicker smaller power forward or using a power game to be successful as a small forward. Bennett was the Mountain West freshman of the year as he averaged just under 16 points a game and 8 boards with the Rebels. Bennett has loads of athletic ability and can run the floor for a 250 pounder,but needs to play more physically in order to hang with bigger players in the paint..
Bennett is capable on hitting the spot up jumper and will take the ball to the hoop in possessing a versatile offensive game. The physical skills are there for Bennett to succeed,the question is can he play more physically,pick up some defensive skills and not fall into the trap of the tweener at the NBA level? I like the pick,although I really liked Kansas guard Ben McLemore as the top player overall. Cleveland still had another first rounder with the Lakers pick at 19 and this time,the Cavaliers used it on a player that had been rumored to headed to Cleveland. Russia's Sergey Karasev is 6'7 and is more of a shooting guard than a small forward,although he would not be out of place if forced into duty at the three spot. The 19 year old shot 36% from three point range in European league play and is a legitimate threat from beyond the arc. 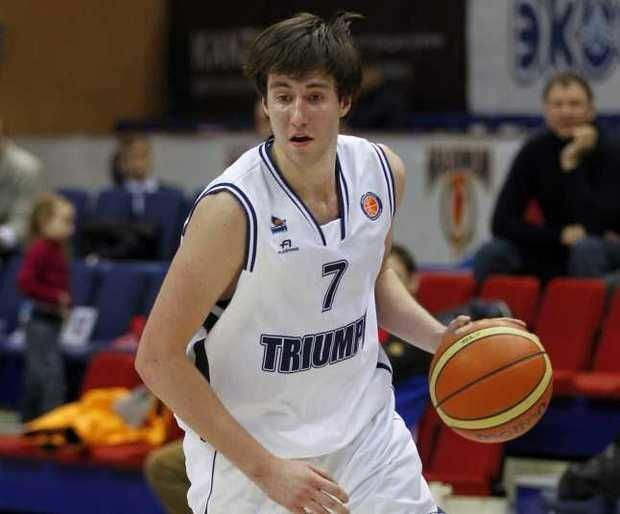 Karasev is the type of outside shooter that the Cavaliers have none of on the current roster and if he decides to play in the NBA this season,becomes a rotation member immediately. As with most Europeans,the biggest question is toughness on the defensive end and can he be more than just a wide open jump shooter? The Cavaliers owned the 31 and 33 picks in round two and weren't expected to make picks to keep,if they were unable to make any trades for veterans. The team was not going to go into next season with four rookies and rightfully so. At 31,the team selected Allen Crabbe,a guard from California and sure enough-swapped Crabbe to Portland for two future second rounders. I really liked Crabbe as a player and I wish they would have kept him,but I do understand the thinking,if not the deal itself. Two picks later,the surprising pick was Carrick Felix of Arizona State,a guard/forward that features a hustling style on the defensive end,which should suit Mike Brown's style well. The 6'6 Felix isn't afraid to hit the boards,is an explosive dunker and can run the floor a bit,but will need to prove that he has a consistent outside shot. Are there questions about this draft? The draft seemed to be one of the weakest in years and there really was no sure thing,other than maybe Ben McLemore,who is not a franchise changer himself. No matter who the Cavaliers took first,there would be questions. Anthony Bennett? Tweener. 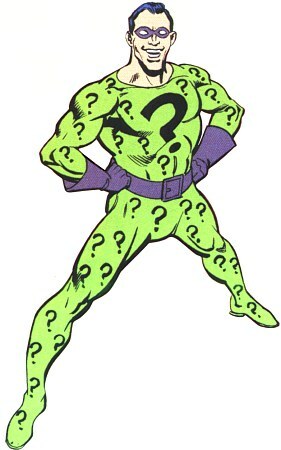 Nerlens Noel? Limited offensive skills and injuries.Alex Len?Injuries and limited upside. Otto Porter? Perhaps he is as good as he is going to be. Any one of these have their questions. The long awaited catchup from the signing front starts today as we post pile one and maybe soon,I'll get to the other one before yet another gets added! We start with thanks and they will continue as the post continues. Thanks to our man in Tennessee,Corey White. Corey nabbed us some players that we never have added before-most notably Tampa prospect Mikie Mahtook and Delino DeShields Sr. I have so many of Delino Jr,but this was the first for his dad.Corey also helped with Christian Villaneuva on his Carolina League prospect card and many others from Pensacola and Montgomery. Thanks as always for Corey's help! Mike Oravec continues to think of me with various Pirates,Giants and Indians,most notably for me was former Indian slugger Andre Thornton and one of my favorite (if not the) Giants of all time in Chris Speier. The Wilmington Blue Rocks hit Frederick on a night that eventually saw the game rained out. Bill Cover and I hung around and nabbed Royals first rounder Kyle Zimmer after the game. Zimmer was very nice as was John Lamb,a once touted prospect on the comeback trail. Other nice additions were Sam Selman,Jorge Bonifacio and Cheslor Cuthbert. The coolest of all for me might have been Alex Hudek,who signed a blank for me. Hudek was born in Mansfield,Ohio and we talked a bit about the area. A trip to Harrisburg with Derreck and Tyler Chupak brought the Richmond Flying Squirrels and the Giants to town. We were also accompanied by Brad Adams,which led to a story that I cannot tell (Give me permission,Brad!) ,but still added a cool note as well. Notable pickups were Giants first rounder Joe Panik (Super nice,signed all I had) and catching prospect Andrew Susac,but one funny note in backup catcher Mark Wagner. I had sent a card of Wagner around to my traders on various occasions and had always failed. 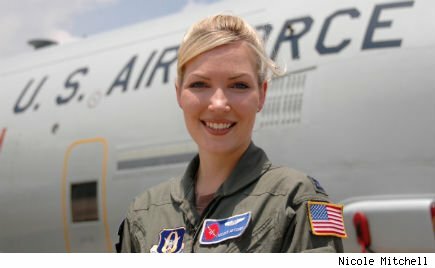 I had failed with Wagner in Frederick twice,so my experience was not great. Wagner then walked right on by in pregame without a look and I told Derreck and Brad that this card almost wasn't brought because of its past. So after the game,Derreck asks Wagner,who boomed an enthusiastic "Absolutely",was super nice and chatted a bit. The Greensboro Grasshoppers brought the Miami Marlins to town and not a ton of prospects. Jesus Solorzano and Yordy Cabrera being the best. Cabrera was a one ,if any and lived up to any rumors of being less than willing with the pen. Michael Main was a former Ranger top pick as a pitcher that the Giants had obtained back in 2010,so I was glad to get Main on a San Jose Giants card. The Lexington Legends were next in town with their new affiliation with the Kansas City Royals. The Legends return to town later today,but without a team set,the cards for this trip will be limited. The big attractions for the series were Bubba Starling and Raul Mondesi Jr and both were very nice and signed well. Other players of note were Cameron Gallagher and Hagerstown product Christian Binford,who is expected to start in this upcoming series. During this series,Derreck was in Frederick for the Salem Red Sox and worked on the beginnings of the Salem team set. The top additions were Garin Cecchini,Blake Swihart,Henry Owens and Deven Marrero. The Reading Fightin' Phils were in Harrisburg and the Senators had released their team set. Tyler knocked out much of the Senators (more coming in the next signing front) with Nate Karns and the increasingly difficult Brian Goodwin the top prospects. Top prospect for Reading -Jesse Biddle was the losing pitcher,yet was very gracious in signing after the game. Biddle is one of the few to be an excellent signer in Low A and still maintain the status in AA. Brody Colvin was a nice grab and Sebastian Valle signed one as he left the park with a young lady. Derreck helped me with Anthony Hewitt as he literally chased him down the runaway to the bus. Nice catch by the athletic Chupak! My buddy Jason Christensen sent me some bonus cards as well as some help with Akron,Portland and Erie.The biggest pickups for Portland were Xander Bogaerts and Anthony Ranaudo,Erie added Daniel Fields and Akron Chun Chen. Thanks to Jason for his help and the bonus goodies as well. Thanks to the Superfan for getting a card that is over 25 years old signed and with a story. In 1987,I was newly married and in a Family Dollar and found very plain looking cards from Jim Crockett Promotions,the top challenger to the WWF.I bought every pack and never saw another card to this day other than on Ebay. David got two of these cards signed by Barbarian of the Powers of Pain tag team and a long time favorite of mine. Whew,that knocks a stack down and a stack to go and more cards to do. Look for another of these soon! I now have a Twitter page. I really don't intend on "tweeting" a ton,although I may just link the latest post when I do them,but news is evolving and since news is now obtained faster on Twitter than on websites,I decided to start an account. Don't expect many tweets,unless either A) you guys demand it or B) It proves so popular in driving readers here that I almost have to. In any event-it can be found here,so feel free to follow. Or don't,I really just started it as a way to find out faster whether the Suns and/or Keys were going to play on a rainy day! I plan to be back tonight from the road office with an On the Signing Front as the stack of cards has grown to two and that means space needs to be made! The road to Lakewood N.J. from Hagerstown is a long one. As in four plus hours long,but as always with Derreck and Tyler Chupak getting there is often much of the fun and the trip to the SAL All-Star game was just that-Fun. The trip there had its travails-overpriced tolls combined with traffic backups that threatened to overheat the "Graph Mobile" as Derreck calls it added some stress,but overall,it was another great time on the road as we took our longest trip of the year. As we traveled through Baltimore (Ugh) and saw such sights as salt piles and derelicts,we paid far more than was needed to drive on roads in three states that were not even close to being worth the coin that was paid. I rail against the PA Turnpike often that if I have to pay to use the road then at least the road should be worth paying for and some of these roads didn't bring the "Value" that the PA Turnpike offers. Entering Lakewood,I was surprised by one thing. I should not have been in hindsight,yet I was.Tyler commented on the large amount of Amish walking around and upon seeing people,there was a resemblance,but it was not Amish-it was orthodox Jewish and more than I had ever seen in one place. This makes sense as it was just the third time I had been in New Jersey and the Jewish population is quite large as you enter the New Jersey/New York area,but it was quite surprising when you aren't expecting it. One things about Lakewood-they did a great job with their stadium,one that Hagerstown or Fredericksburg would be smart to take a look at. Super sightlines,outfield seating and concourse,this stadium could easily be a AA ballpark with an addition of seating makes Lakewood the best low A park that I have been to personally. 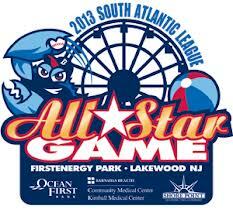 The Blue Claws decided to have the SAL All-Stars sign in a signing session outside the stadium in a free session. Derreck said had we known that,we could have saved the price of the ticket and considering the eventual result of the celebrity session that would have been a good result. The players were sorted by team and there was no lines,a come as you know need process. Sometimes that can be a bit sloppy,but this time it worked very well and I didn't see many problems. There were one or two (none involving me) small encounters,but on the overall,not bad. The biggest problem was this-the team sets were not ready to go. We tried to purchase them and were told that they weren't ready to be sold and the team set would open later-as in 15 minutes into the players signing! Combine that with the line of fans buying sets and it is not hyperbole to say half the session would be over before we would be able to start. Things would work out though as we stood in front of the team shop and began to get dirty looks. Eventually,a loud woman strutted over and proclaimed that the dirty looks were because we were "butting in front" of season ticket holders that get in early through the team shop. We attempted to explain that we could care less about any of that and we just wanted to buy the team sets as quickly as possible,but this lady certainly was full of herself and walked us over to a team employee and smugly asked questions that were answered wrong (she insisted that the signing was inside,despite the tables and labels clearly being outside). She walked away and I responded that's all well and good,but you didn't ask the one question that we needed answered-Why can't we buy the team sets before the signing? She then sent us inside and said "make sure you tell them Aunt Joyce or maybe it was Ann Joy sent you". Well,once inside no one seemed to know who either of those people were,but after a bit of questioning from Derreck and I,we were walked into the team store,where we were allowed to buy our sets. In the meantime,those same season ticket holders are going nuts outside as they see us buying the sets and are losing their minds! So,of course as we leave with the sets,we make sure to thank (and high five) Aunt Joyce or Ann Joy or whatever the hell her name was and then watch as the ticket holders start giving her hell as we walk away. The session started with one problem-the Yankees and Mets players had yet to arrive and a chunk of the fans were waiting for them. I was pretty happy as I began just picking up players because there was little to no line for many players. To shorten the story,I got everyone that was available until the Yankees and Mets showed up on their bus. I figured that was unlikely,but then I saw one person being quietly stopped and then standing alone. It was Frank Viola,former Cy Young winner and Savannah/Southern Division pitching coach. Frank was super nice,knocked out every thing that I had and even chatted a bit. Very nice to add Viola to the collection. What was surprising is that some of the Yankees and Mets stuck around and signed for a while anyway,which is not what I expected. Especially nice was former Mets first rounder Brandon Nimmo,who signed for everyone that waited through two long lines and then thanked US for waiting. Super guy and one I'll be rooting for. Derreck and Tyler were already in the stadium as they looked at the celebrities hitting contest and they reported the mass of graphers/fans for the celebs and it didn't look too promising to get anyone. I had cards for some of them,but considering the likelihood,time it would take and the return time on the trip home,I leaped when Derreck said about leaving then and there. Editor's Note-This was a late revision upon Tyler reminding me about a funny part. When we stopped to leave Lakewood,we needed to stop for gas and there was a person to pump. Derreck had never had full service before and I found out later from Ryan that New Jersey has a state law against self service at a gas station,so we were treated to "Peter" and his helper,who came complete with turban,which made me wonder about some uneasy stops at this gas station for some in Lakewood. As Tyler looked for a rest room,Derreck and I were treated to some of Peter's ramblings which included John Cena's friendship with Ryback and his views on the attributes of women's sports,which mainly revolved around Peter's enjoyment of the movement of female breasts as they played said sport. Frankly,Peter gave me the creeps and we could not get out of there and away from Peter fast enough before he gave us more of his thoughts and credos for my taste! After a Delaware stop at a service plaza that was as clean and crisp as I have ever seen for a bite to eat (I demurred after an attempt for a chicken sandwich was denied because Popeye's was "out of bread"),we were traveling by Aberdeen and saw a sign that read "Game in progress". Derreck quickly got off the exit and we raced into the stadium to see the centerfielder for Hudson Valley catch a fly ball for the final out. Derreck jumped up and down,hollering "It Counts! It Counts"! Yes, it does as Aberdeen now gets added to the list of stadiums I've seen. Aberdeen will be a future stop because it just looks so easy to graph there with a hotel literally across one road from the ballpark. Two hours to go and other than a stop at High's (what a comeback that chain is suddenly making) where I found more sunflower seeds from the BIGS brand that can only be found at one place in Hagerstown featured lots of chatter. Another great day and lots of fun,but I was a little sad when I hit the home base. I've been busy,lazy,had nothing to say or all of the above,but I'm starting to get back in the flow creatively and look forward to banging some things out tonight! I have plenty from the signing front (cards piling up all over the place),a terrific road trip with the Chupak tandem and some other thoughts as well coming up soon. I have always said this has gotta be fun and when it becomes a chore-we take some time off. So thanks for hanging in there and I've got some stuff planned soon! Gerrit Cole makes his Pirates debut tonight against the San Francisco Giants at PNC Park and it made me think a bit about things. Is this the beginning of the Neal Huntington plan to return the Pirates to prominence? Or is this beginning of a run that will send Huntington to the unemployment line and the Pirates to yet another rebuilding plan? The former first overall pick is expected to be the linchpin of an eventual powerhouse rotation that with Jameson Taillon could give Pittsburgh a one -two combination that makes the Pirates a contender,but will it happen? Kris Benson was supposed to be the same type of number one starter and he only showed glimpses of the potential that he was supposed to have,could Cole be headed to the same fate? Cole certainly has the stuff to be just that type of starter,but between his days at UCLA and in his minor league career,something has seemed to be missing. His numbers were good enough,very solid in fact,but sometimes something seemed to be missing. Could Cole be one of those pitchers that has all the parts that somehow doesn't have them all mesh perfectly? Possibly,but I think that Cole is going to be fine. Sure,his fastball can be straight and that is going to lend itself to the occasional lighting up,but Cole has the type of arm that makes me think of Justin Verlander and that is a serious ace in the making. 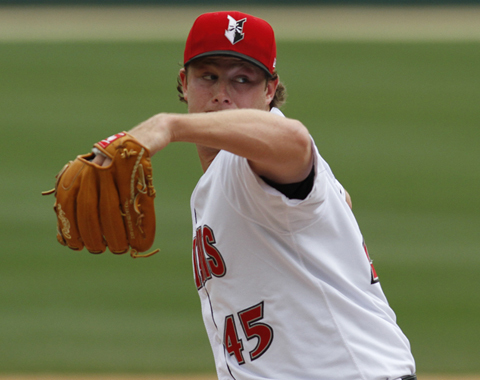 Gerrit Cole just might be the most important of all the Pirates prospects for one reason. Cole is the player that might show that the Huntington plan is working. Jameson Taillon was always going to be a long term project,Tony Sanchez was an ill fated idea to select a player on the cheap,although Sanchez is playing well for Indianapolis and Pedro Alvarez will be remembered for not being Buster Posey as much as his long homers. If Gerrit Cole is what he could be,tonight's start is the beginning of a promising future for the Pirates,but if not,this could be a very worrisome setback for the Pittsburgh Pirates. Nothing major here,so I thought I would use the morning to answer a few questions over the last few weeks. The first question is why the day to day baseball coverage has dwindled and my answer is this-I don't have as much day to day time as I used to with hitting the graphing circuit and making more of an attempt to stay and watch more Suns games. I had decided to try to do more of that this year and with the turn of negotiations to keep the team turning towards leaving,I want to continue to do that while I can still do so. I am sure that I'll still be going to games often in Frederick,Harrisburg and even Fredericksburg,should the team actually leave,but when that happens,I'll be home more and some day to day coverage would return under those conditions. Another question that I get on occasion is this-What's with the Giants gear and where's the Pirates? On my last birthday,Cherie bought me a new yellow Pirate hat to replace the battered old model and she went to Mickey's Place in Cooperstown,where she had bought hats in the past for me (New York Baseball Giants and a late 60's Indians). I have a picture or two on my facebook page wearing the hat,but it had several small green stains that likely happened this way-as a size 8 hat,it was on the bottom of the pile and either was damaged from time sitting there or was a factory flawed model. When I returned the hat,they were out of Pirates (yellow or black model),so I needed to find a hat in my size and with the available choices,I chose a Giants,not knowing of the new Cool Base style. The Cool Base is just that-cool,I don't sweat as much wearing it and it is the most comfortable hat I own. As far as the rest-that's simple too. Another question I get is why the Giants Prospects site hasn't been updated in a while. Not enough time and looking back,I didn't do enough planning on what I really wanted the site to be. Next question is what I do have planned for the summer besides baseball and for those of you that know me,this should surprise you. Knowing how much I generally hate pictures of me (as Jim Bouton said in Ball Four,I dissolve camera lenses),and hating to look at what I've become,saying that my next project would be one that features pictures of me would be a mild surprise to a shocking one. The tentative plan is for me to travel locally to take pictures of me and the places that were important to me at one time or another. The idea came from my impending 45th birthday and decided to do something different as the summer goes by. One never knows who you might meet up with on the way! 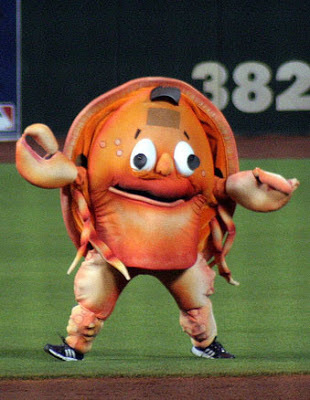 And finally,we finish with this-what's with the mascot pictures? Well,my buddy Derreck and I just fell into it after a silly conversation in Harrisburg with the Red Robin (which looks more like a Cardinal) and just like graphing is a collecting obsession,I suppose this is an obsession as well,right Derreck? Silly and funny oftens equals fun. We continue our chat with former Weather Channel anchor Nicole Mitchell with part three and the beginnings of her career at TWC. Thanks again to the Major for her time. TRS: Moving on to your career at the Weather Channel,how did you receive the opportunity to move to what is considered the big leagues of televised weather?Did you contact them or vice versa? NM: One of their managers spoke to me at a weather conference and got me thinking about it, then I reached out to them a year or two later when I was job hunting. TRS: My job entails watching lots of TV and I discovered you on the morning show "Your Weather Today" as the travel analyst,did you find that title demeaning or just a title? NM: I was fine with the title, although it didn’t begin to cover everything I was doing on the show (like my hurricane coverage, etc.)! TRS: On Your Weather Today,that show was the flagship program for the station,what was it like being an integral part of the most important show for the network? NM: I was really honored to have the opportunity, and especially to get such a big promotion after only being with TWC for a couple months. TRS: What were your relationships with co hosts Marshal Seese and Heather Tesch? Did things go well and were you friendly away from the set? NM: We had a lot of fun, and yes, sometimes socialized outside of work. I actually just had lunch with Marshall a couple months ago. 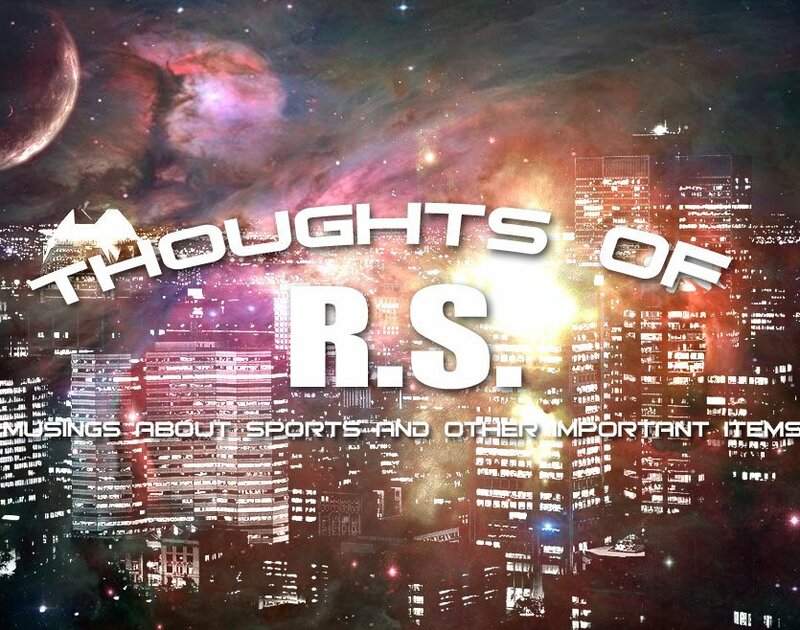 TRS: As much as I enjoyed your work on YWT, I loved the pairing of you and Paul Goodloe on the overnight shift even more,as our readers know that is when I am at work. The chemistry that you had together created a fun atmosphere that I thought made the overnight crew and the viewers a type of niche' group that has not been on the network before or since. What are your thoughts on Paul Goodloe and that program on late night? NM: Paul and I hit it off right off the bat, and we had a great time working together. TRS: One thing that has stood was the night you danced behind the screen as Paul talked.I'm sure that was improv,but what made you do that and Paul's deadpan response is what made it as well.What are your memories on that night? NM: We tried to keep it fun, especially on Friday nights. We always thought they should have filmed our commercial breaks, because we always kept each other laughing. TRS: One thing that changed was the change from the newsroom type studio mostly sitting down to the High Definition studio with lots of walking and standing,Which did you prefer and why? NM: Both had advantages and disadvantages. I think the movement helps with energy, but it means you are away from computers more in times when you need to look up weather updates. 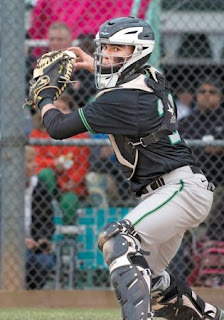 Most of the mock drafts had the Pittsburgh Pirates going the same way-taking high school catcher Reese McGuire even if highly touted high school outfielder Austin Meadows was available. 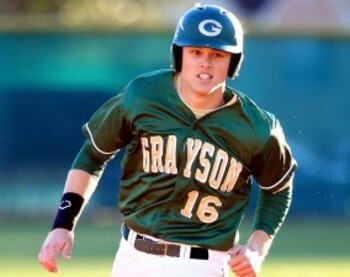 Meadows was one of two top players from the same town in Georgia (with Clint Frazier) to be considered a top ten (and to some a top five) talent and I was hoping to see one of them become a Pirate. When the Indians picked Frazier,that left Meadows as a possibility and when only the Kansas City Royals stood between the Pirates and their pick,I posted on Facebook this- "If the Pirates aren't going to take Austin Meadows,I'd rather the Royals just take him now. Saves me getting angry...". 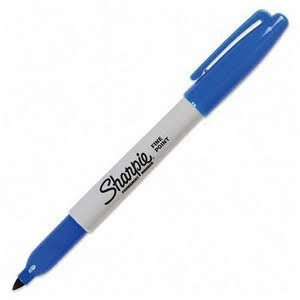 When the Royals selected another player,I was all ready to see McGuire as the pick. Not that I disliked McGuire,I just preferred Meadows and if landing Meadows meant McGuire might not be available at 14,I was fine with that. The Pirates selected Meadows and I erupted in approval as value ruled the day as the Pirates took the best player on the board and will be the better for it. Austin Meadows may not have the power that Clint Frazier has,but Meadows should hit for average and should be a 20 homer player in the big leagues. Meadows will begin his pro career in center,but might eventually be moved to left or right,considering the long term presence of Andrew McCutchen and Starling Marte. When you land a top five talent that slid down the boards without a significant reason at the ninth pick,one has to be pleased and trust me-I am. With the Pirates picking again at 14,I did not expect Reese McGuire to still be available and yet he was. It took the Pirates little time to jump on the Washington catcher and to seemingly walk away with two top notch yet very signable products. McGuire has all the defensive tools as his defense and arm are rated at the top of the draft. His bat varies according to whom you listen to,but at worst he is not going to be an Eli Whiteside type. If McGuire reaches his top hitting potential,he could be an All-Star level backstop,but even if not,he still should be an average starting catcher. The Pirates now suddenly are loaded with catchers in the system between Tony Sanchez suddenly hitting his stride at AAA Indianapolis and last years picks Jacob Stallings at High A Bradenton and Wyatt Mathesen at Low A West Virginia,there could be a dam built at the position. The Cleveland Indians rarely take chances with their first round picks and as a result they have drafted very few players of impact other than the one high school position prospect that they did take in Francisco Lindor. That changed last night as the Indians used the fifth pick of the draft on Georgia high schooler Clint Frazier. Frazier was thought to have been drafted as a centerfielder with a possibility of being moved to a corner outfielder in the future,but the team announced Frazier as a third baseman,which would be interesting to try as his bat would be far more valuable if Frazier could play the hot corner. Frazier has top notch bat speed,which means that he has power potential and runs well enough to have a chance to stick in center if that is what the Indians decide to do with him. Power potential might be a conservative projection as he certainly was the top power hitter from the high school side of the draft and ranks with the Cubs Kris Bryant (2nd pick) as the best in the entire selection process. Another thing that I liked about Frazier in reading articles and then seeing him at the draft is his personality,which seems to be the hustling go-getter similar to Nick Swisher's with the current Tribe. Players that play that way and then are a bit gregarious are always going to be popular with the fan base. Frazier has that type of personality. High school hitters are always a work in progress and then they usually take a decent amount of time to develop,so don't expect to see Frazier with Cleveland anytime soon. However,if all goes according to plan,Frazier could be a power bat that the Indians have not had in their farm system in years and I'm all in with that and the selection. 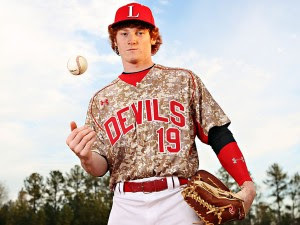 The Cleveland Indians selected Clint Frazier in the first round. The Georgia high school outfielder was not mentioned often with the Indians,but the Indians made the pick and I think it is a good one. Frazier could also be groomed as a third baseman. I'll be back later tonight with a closer look at Frazier and the two first rounders by the Pirates..
Time to dig in or give up? Been away,just had little to say,but today's leak of the Hagerstown Suns making unofficial steps towards a move to Fredericksburg VA changed that. Look,I don't blame Bruce Quinn-he is what he is-a fellow that likes to make money. Money that he cannot make in Municipal Stadium and money that he thinks can be made elsewhere. I disagree with anyone's thoughts that Fredericksburg,Virginia is a viable market (despite it being larger than Hagerstown),but more on that later. I do blame the citizens of the city though. They are the people that blew up a tentative deal by voting out the mayor and three council members,replacing each with less than enthusiastic members towards a stadium. I also blame the council itself with two members that have little to zero interest in voting for a stadium and a third that only recently has begun to waver in stadium interest. I do not by any means miss the grandstanding Ashley Haywood,but compared to the lost in the 50's again attitude of Penny Nigh and the typical city pol Kristin Aleshire,Haywood's routine looks better. I don't even blame Fredericksburg. They want baseball.although reading their paper,they don't exactly have widespread public support either. Considering their proximity to Washington and the Potomac Nationals,they could have the move blocked and if allowed,someone (likely Quinn) is going to have to pay for the territory pass. I still don't think that baseball will fly there long term. You have a major league team next door and a Carolina league team 35 miles away,considering that and the amount of other things to do,I would not think this is a great long term investment. Then again,it is not my money or my team either. SO,things once again look gloomy for future baseball in Hagerstown. There have been too many missteps to count and somehow I have a feeling that I'll be recounting them down the road sometime,but I still have hope and I'm not ready to give up yet? Why? Because I've seen this dance before in a little city named Winchester. Bruce Quinn has seen this drag out because he lost leverage with no other suitors and suddenly now he has one. I make no claims to say Quinn prefers one town to the other,although with all the hassles from Hagerstown,I think if it is close,Hagerstown loses,but that's just a guess. However,as we have seen here locally,raising money to build in these times is always tricky and Fredericksburg politicians might fall prey to public pressure as well. Hagerstown council member Lew Metzner says the council will know by the end of the month whether they will make an offer for a new facility,that could be too late,but it could also be just what Bruce Quinn is looking for-competition.